Rasmus Kofoed is a perfectionist. In the true meaning of the word. While other chefs will have a dish on the menu for a season or two Rasmus Kofoed will perfect keep classics on the menu constantly adjusting and perfecting it. 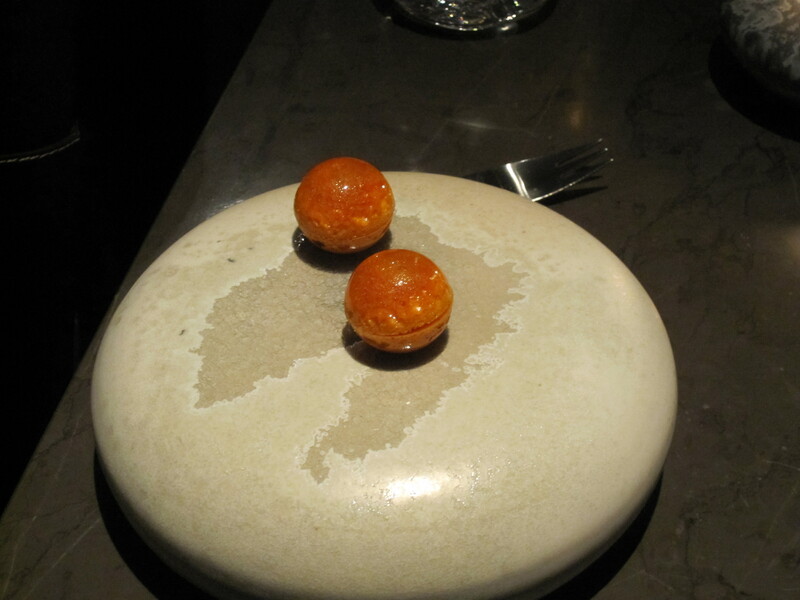 If you a re looking a Copenhagen’s version of a 3 star Michelin restaurant this is it. A modern and sleek dining room, an open kitchen hiding no details or imperfections. As a testament to this for a 2 person seating one of the desserts are often served in the kitchen providing for a very unique experience. Perfection and order not only exists on the plate but in the kitchen likewise. Rasmus Kofoed being a vegetarian means a very feminine menu where vegetables take centre stage.